Fireworks are used by many cultures to celebrate holidays and important events. Their spectacle unites people and commemorates cultural milestones. Kaleidoscopic bursts against the night sky, spirals of colored fire, glimmering waterfalls—all the effects that give pounding delight to children and adults alike. 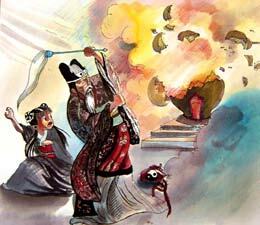 A prevailing legend associates the invention of fireworks with ancient Chinese alchemy. 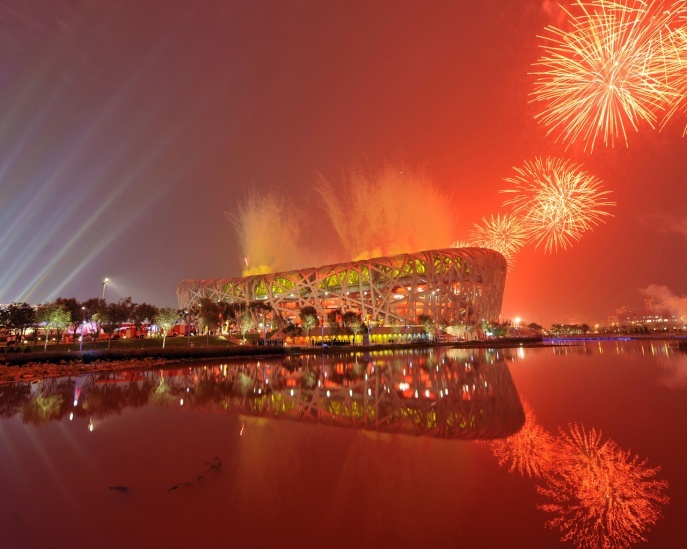 Liuyang in China is considered the birthplace of fireworks more than fifteen hundred years ago. Legend has it that a cook found that charcoal and sulfur were flammable and could cause an explosion, especially if contained in a small casing such as a bamboo stick. That was the beginning of an evolution of technology that led to China’s dominance even today as a manufacturer of fireworks. 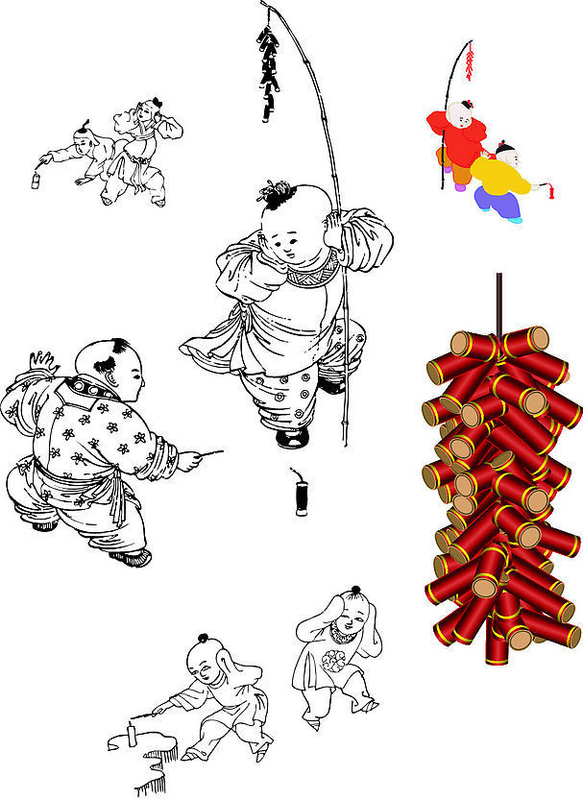 Firecrackers and fireworks, a most popular traditional game for Chinese kids. At first, fireworks were used for entertainment and celebration. Their loud noise was also thought to scare away evil spirits. But humans always try to create the next better version of an invention. That’s how progress, both good and bad, happens. Seeing the power of fireworks led the Chinese to develop gunpowder. They realized that if the power of the explosion could be directed, it could be used as a weapon, such as in rocket-powered arrows. 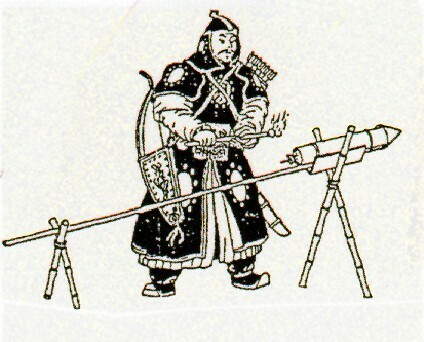 By the Yuan Dynasty (1260–1368 CE) Chinese armies carried guns made of bronze, and warfare was forever changed. Rocket-propelled arrow. Gunpowder became used on weapons, and was to bring about a revolution in warfare. Eventually, the use of fireworks went west to other countries, supposedly carried by Marco Polo, the Italian explorer. Italians and then Germans began manufacturing fireworks, and from there the popularity of fireworks grew among the nobility in Europe. Fireworks seen for the first time in England announced the marriage of Henry VII in 1486 and Elizabeth I (1533 – 1603) was so taken by the fiery displays that she even named a Fire Master of England to serve in her court. Here’s a test. What is a peony, or pistil or chrysanthemum? You may think they’re related to flowers, but click here to see the amazing range of firework effects. And for those celebrating this month, here’s to Canada Day, Bastille Day (France), the 4th of July (US), Bahamas Independence Day, Belarus Independence Day, British Virgin Islands Territory Day, Burundi Independence Day, Cape Verde Independence Day, Colombia Independence Day, Cayman Island Constitution Day, Comoros Independence Day…and many more. For a full list of national world holidays in July, click here. Can you draw your favorite firework effect? What colors do you want to use? What is a kaleidoscope? Why would fireworks be described as having “kaleidoscopic bursts” in the first paragraph? Can you think of other nouns and adjectives to describe fireworks? Write a story about something you are proud of in your life and draw fireworks to show how you feel about yourself. What firework effects will you use? What colors describe your feelings? This entry was posted in Annotated, Art, Blog, Culture, Holidays, Kids Blog, Kids: Art, Kids: Culture, Kids: Holidays, Kids: Public Life, Kids: Recreation, Kids: Science and Tech, Public Life, Recreation, Science and Technology and tagged ancient history, AntiquityNOW, celebrations, china, fireworks, Fourth of July, Independence Day, Italy. Bookmark the permalink.